Because them mustaches are as contagious as lice with the men in this house. It's remarkable that this beautiful child of mine hasn't a hair on any other parts of his 45-pound body, aside from his head, yet can grow a full mustache in less than 10 minutes. Remarkable. A side note: I scrapbooked about, yes, you guessed it: Chip. I can't show it to you, because it's for my column in November/December (I know, we work way ahead of the calendar) but…i thought: Man, I hope the Smiths don't think it's weird. Although the journaling does mention that it might be weird, because she's not my dog and all. But hey, famous dog! Who doesn't want that? And honestly? I feel like I just remodeled my entire basement. MAN! I love being a simpleton. Other happy stuff: My mom and dad are somewhere on the Eastern edge of Nebraska on their way to see us, beginning tomorrow! I love that i get to spend time with them, cook for them, and show them that I really have turned out okay, despite the whole punk rock phase of my late teens, smoking, and having gay boyfriends. Afterall, they are my MFRs—most favorite Republicans. So I mightn't post for a few days (although I say that, and probably won't mean it) so don't think I dropped off the face of the earth. I did think that it might be fun to answer some "viewer mail." Because a lot of times, you fabulous folks will post questions, and i don't answer them and it's not that I don't care…well, maybe it is that a little…(I kid, because I love…). You know, like someone posted, "You never talk about Lost. What's up with that?" So, here's the deal: you have a question? related to whatever's on your mind….you know, like scrapbooking, or things that you need to know that I may be able to answer? then post it here. I know Ali did a Q&A once. Seemed kind of cool. So, i'm trying it. Sound good? And I will compile them all into one lovely post in the next few weeks. My boy is 1 so I don’t think he’d be too interested, but on a funnier note… I think my girls (3 & 5) would be very amused by them! Have fun with your parents. Mine live far away, and I always love it when they visit. It gives me a chance to show them that I turned out okay… despite my smoking and grunge stage & having lots of boyfriends [and even friends with “benefits”]… of the non gay variety. Oh Yippee!!! I’ve been wanting to know if you will be doing any CKU or LSS classes this year – specifically in Florida. I adore your style and your blog makes me fall out of my cubicle chair with laughter on a regular basis. I would jump at the chance to get personal instruction! Thanks for your contribution to the world of scrapbooking. Your design genius and humor are quite refreshing. Question: Have you given up on knitting? In February, you inspired me to re-learn crochet and I proceeded to get “warm fuzzies” visiting the local yarn shop with all those colors, textures, and potential projects. For me, it was a sense of therapy where I could sort of meditate for a few minutes. What do you do now to get to that “Zen” place for a few minutes? You’re just too funny! You inspired me with your little purse in Feb. and I made a bunch of them. And since you mention LOST, do you by any chance share my obsession with Sawyer? ‘Cause if you do, I think you should back off. I mean, in a contest, he’d definitely go for you first ’cause there’s no way I can match your wit, but be fair. I caught him fondling fabric first! I’ve always liked your photos. Do you have any tips in that area that you can share with very ameture photographers? Mostly to do with how you capture such good shots and what not. The ‘stache’ rocks. I am a fellow simpleton so I can appreciate the “renovation” of your laundry shelf. I wanted to thank you for your wit and continued inspiration. Your style is classic and your family (including your foster dog) is adorable! here’s a (slightly bitter) question: why do you minnesotans get mr. yorn to open for the crowded house show, while we wisconsinites don’t?? here’s a real question: have you ever considered popping down the interstate to the madison area to do a workshop/class/whatever? i’d totally be there. Will you be getting a dog after Chip leaves? I know you had some, uh, issues, with dogs before. Those experiences won’t scare you away from trying dog ownership again, will they? Ok, so when you said you were dogsitting, I thought for maybe a week or two. But it’s been,like, months! Chips family must’ve gone on a great vacation? Or something work related? You don’t have to tell me where they went but I’ve just never heard of someone dogsitting for so long (unless you are really just keeping her and trying to tell us that the family is coming back soon!). Do you think they’ve taught you the things they have by being being born first/second? There is a ‘stache kit? Awesome 🙂 Have fun with the folks and we’ll see you on the flip side! I didn’t know you could buy mustaches in a kit. Awesome! MFR! That is hilarious and I am totally stealing that. Those mustaches are also a hoot. I must say, Dan is a hottie, but when I saw him with a mustache I thought, “Really? Really?! ?” Glad to know it was a stick on. Those I can handle. Aren’t fake mustaches a blast? I’m waiting to see the photos with you or your daughter sporting the Sunday Hollywood issue… Bought a ‘stache for a Halloween costume many years ago when my sweet husband went as woman and I as a man—have worn it several different times—often at my daughters’ classroom halloween parties where I was caught on film with my arm around her. That pic ended up on the fridge and a good friend asked me “who’s that guy chumming up with your daughter….” Fun to see such a collection of different styles available! Any chance one might score a kit or instructions to your “Encyclopedia” class you taught last year? Pretty Please? What is the font you used when making your “Chililicious” pdf? Love…Love…Love your blog. It is a breathe of fresh air during the drudgery of my workday…shhhhh don’t tell! I love the sheer honesty of your blog. You are one awesome, talented chick. (Neurotic, but in an endearing and facinating way…er, that’s meant as a compliment.) Here’s my question; I’ve never sent one of my layouts to a magazine. (Fear of rejection just might be a factor…) Is there any chance for a scrapmag virgin to get “in” at this late date? Or should I just scrap for myself and call it good? PS You are going to be SWAMPED with questions!!! Don’t you know how fabulously popular you are?! Somebody already asked about them, but I want to make sure that you divulge your source of moustaches! I have a 17 year old who is desperately wanting to grow a moustache this summer…I can’t see it happening without a little help. Do tell! you have a unique style and colour sense, were you artistic when younger or in University, did you get your graphic designer degree, did you know you wanted to be a graphic designer, or did you just fall into it. Love your blog, your wit and your obsessions with music, I love music to…. PS. “MFRs”…I have GOT to stop laughing out loud out of nowhere at the office! 🙂 I’m really going to have to remember that phrase, though. So appropriate for a bleeding liberal here in oh-so-conservative Orange County. PPS. And Holymotherofanorphan, your son is the spittin’ image of your husband. As if you didn’t know, but the comparison just hit me after reading your blog for several months now! Just like my brother and my dad: they’re similar, they’re similar, and then BOOM! Like twins. Separated by 35 years. Its uncanny! I have been listening to these essays from a show called “This I Believe” on NPR. Want to share what you most believe in? Not necessarily spritually, just in general, in life.. besides Neil and Pete Yorn! though they’re a great start. Now his mustache I like!!! Very dapper! I may need to get those for my husband and son. Don’t you think that would be charming on a 1 year old!? Here’s my question, okay request, but I could state in the form of a question… How do you edit your photos? I’d have to search back through your blog… oh, maybe a recent one of Aidan, they look so bright, I love that. How do you do it? Or do you just take that good of a picture!? I love, and totally relate to, your OCD-osity. I’m convinced you’d be a great convert to the “Buffy the Vampire Slayer” cult. Any chance you’d try a few episodes? I’d be happy to recommend some! I have a boring question, but we were talking about it at dinner, and I realized I ‘knew’ someone I could ask! – you mentioned that your kids go to school all year – I know they get more breaks, but area the hours less each day? love your photos of your kiddos – they are both so you & Dan, it’s amazing. i like Scrapbook’s question about your wedding and the one of my own is…will there be “Clean & Simple Scrapbooking – the Threepeat”?! Do you watch Jericho? I just heard that it has been cancelled for next season. Let’s start an all out boycott on CBS. You are the woman to do it with your bloggin power. Thought this seemed very worthy of viewer mail. Help Skeeter, Cathy help him! And although I’ve often wanted to ask you a ton of questions over the past months, I’m drawing a total blank right now, wouldn’t you know. since you have a connection of sorts to Montreal, would you like to come up here and teach some C&S goodness? 🙂 I know it’s a total longshot, but I have to ask! I’d make sure the class(es) would be filled to the brim, and I’d be a willing travel guide. Plus dh is a chef, so you’d eat well. 😉 Deal? I’ve asked you this before, but what lens(es)do you use and do you use actions on your pics? They’re great. 1. You mentioned that you compiled your neighbor’s blog into a booklet for her family after her death. How did you do that? Copy/paste/print? Did you have it bound at a printer? 2. You’ve mentioned church once or twice. What church do you attend? What does a Cathy playlist sound like? 10 songs. Ok 12. Could be your favs. Could be some current stuff that’s making you happy. Could be some classics. Could be some desert island essentials. Could be some sentimental favs. Could be a mixture. I have so enjoyed your journey with Cathy. I am going to miss your blog entries and your insight of your foster mother Cathy and her family. Yes, I know she has given you a kiss on the lips, taken you for walks, and showed you the art of “LOVE” and her scrapbooking talents. She thinks the world of you. I know you have bonded with her. Even when you were staring at her, with one ear back, puzzled at the loud music she was listening too, and singing. You have to admit, you will miss her too! We will miss you! Cathy asked if we had any questions for her. Instead, I have a question for you, Chippie! Will you continue to blog? Will there be a Chip Blog? Are you regretting your q & A idea yet?? No kidding, my real question is did you ever take up that interior designer’s offer to help you with your bedroom?? Hanging out to hear what happened there, even though it is totally none of my business. Do people “recognize” you on the street? I know if I saw you I’d probably stutter and say some stupid things then scream like a 12 year old little girl when you were out of earshot while jumping up and down. http://sweetbrierscraps.blogspot.com and I have included my layouts and some of the other little projects that I have worked on, in the hopes that it will help people “get it” as it were. Any thoughts on how to get thru to the public? My question is: Do you want to be Best Friends? Seriously, I think we could be. Yeah, yeah, I know your BFF’s w/ Tara, Donna and many others but surely you have room for one more! Love your blog, love your humour, oh heck, I just love you! No, I’m not a crazy stalker…AND lucky for you, I live no where near St.Paul! hmm..love the laundry shelf. simpleton? I’ve also heard lately, Modern Minimalist. how do you get the personal style that you have – which looks so fresh and clean..and it looks like you don’t wear makeup. Your haircut is fabulous. umm..that’s not a question. I find it sooooooo funny that I am following Sunny’s questions about cosmetics, b/c I wanted to tell you that to me MAC is makeup, not a computer! Are you LOVING the new CH Single, “Don’t Stop Now”? OMG!! Can’t get enough. And Johnny Marr? Like I’ve died and gone to heaven…..
How did you get to be so darn cool? That’s what I want to know. LOL Thanks! You are AWESOME! And way cool. 🙂 My question is: Will you be attending the upcoming CKU-Orlando (please, please, pretty please!) or any other Florida event? I’m in Miami, planning to drive the four hours up to Orlando for CKU in October and I am so dying to meet you. G’day Cathy, i really enjoy reading your blog and always smile when you mention my fellow countryman Neil!!. How does someone go about asking you, Donna, Stacy, etc if you’d participate in/contribute to a small new scrapbook business in the form of an interview, LO or page sketch?. and would there be a fee for doing this?. opps…a third…..well a request really….please please please come to the UK…i’d move heaven and earth to attend a class of yours!!. i could bribe you with some Split Enz era Neil Finn( and Tim Tams!!)….please!!!. My question is will you be coming back to Australia anytime in the near future? I literally had my first class of scrapbooking the night before you were here and had never heard of you! My teacher showed my your book that first night and I haven’t turned back since. You insire me and I would love to go to one of your classes. So please come back to Aussie sometime soon. Thanks! 1) You talk every once in a while about reflector kits… can you give us a rundown of exactly what you use to enhance the light in our homes when you take pictures? Do you like the reflector kit you have – they have different sizes and I’d love to hear what worked (or didn’t) for you. 2) Now that you’ve been digital for a while, I would LOVE to ask – what are your settings in photoshop to make your digital color photos into b/w? Not so much how to make a good contrast (ie channel mixer) but how to get the warmth in the b/ws. I load one of the ps duotone settings to make my b/w, but wondered what you do. Q3: Would you consider sharing the tribute albums that you made for your neighbor Mary’s family? My mom passed several years ago and I would love to do something like that for my own family. Going back to Q1&2, I could use a little inspiration. Peace. Hope you have fun with the ‘rents. Bring them over to Mpls and checkout my neighborhoods shining jewel – the Birchwood cafe. However, stick with the lattes at Espresso Royale, which in my opinion are the best in the Twin Cities. but i know what you mean…there’s something strangely delicious about “renovating” the laundry room. i do it myself. weekly. it’s called peeling the lint out the dryer. i feel fabulous afterward. anyway–what I WAS saying was that all the cool girls have a stockpile of gay boyfriends–so you just keep goin on with your bad self. I certainly deserve a toaster or a savings bond or something by this point–knowing that I’ve been just enough of a hag to convince a boy or two to climb the fence and join the “family”….it means I have someone to go shopping with and talk about Paris Hilton for the rest of my life—or her’s. Oh, I still have to scrap my senior prom from forever and a day ago–my date was the real prom “queen” darlin. FAB-U-LOUS! He’s now the director of the Chicago Gay Men’s Choir and rockin out his disco-life. I do have a page I did after CHA winter of a great drag show I went to with my best friend down in Long Beach, CA……that’s right, home of snoop dog. He wasn’t at the show though………I digress……..
Be careful not to harm any republicans this weekend–just keep telling yourself that they’re really just fiscally conservative democrats, not republicans, and all will be good. okay, what’s your favorite font? Crowded House and Pete Yorn are coming to Winnipeg on September 8. It’s ONLY a 7 hour drive north of Minneapolis. 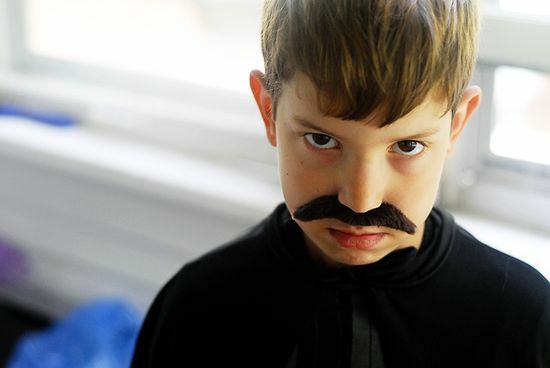 Cole looks like Thomas Friedman (the journalist/author) in that moustache. When you “signed off” (you know, your…**sniff**…blogging hiatus) you did a fabulous montage accompanied by “Throw your arms around me” by Neil Finn. I’ve looked in vain for a CD or an mp3 of this song, but all I’ve come up with so far is a you tube video of him singing it live (super, but not what I want) and mp3’s, other audio of OTHER people/bands singing it (Pearl Jam, et. al.). WHERE OH WHERE DID YOU GET IT???? ?